AIG wisely said no to the offer by former CEO and AIG shareholder, Maurice R. “Hank” Greenberg to sue the federal government for damages at $25 billion. He claims that the AIG bailout deal in 2008 was a raw deal for AIG and unconstitutional. Are you kidding? AIG would not have survived had it not been for the American taxpayer. 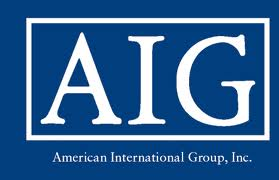 AIG’s is currently running a media campaign thanking the American people for that bailout, so I’m sure that the Insurer does not want to squander the credibility it has regained after repaying taxpayers in full plus a profit of $22.7 billion. We the People bailed out AIG to the tune of $182 billion because AIG was considered, as they say, “too big to fail”. In fact the federal government considered it would have been “catastrophic” if AIG had failed resulting in a devastating domino effect throughout the financial markets. Needless to say, the AIG Board decision not to join this lawsuit was a smart one. This entry was posted in Economy and tagged AIG, Bailout, Maurice Greenberg, Too Big to Fail, Wall Street on January 9, 2013 by speakingthosethings. You can bet your boots it was a smart decision. The catastrophe would be for them to sew the federal government after the American people bailed their thieving butts out, even if the “raw deal” they supposedly got was just terms of the bailout written on a restaurant napkin.